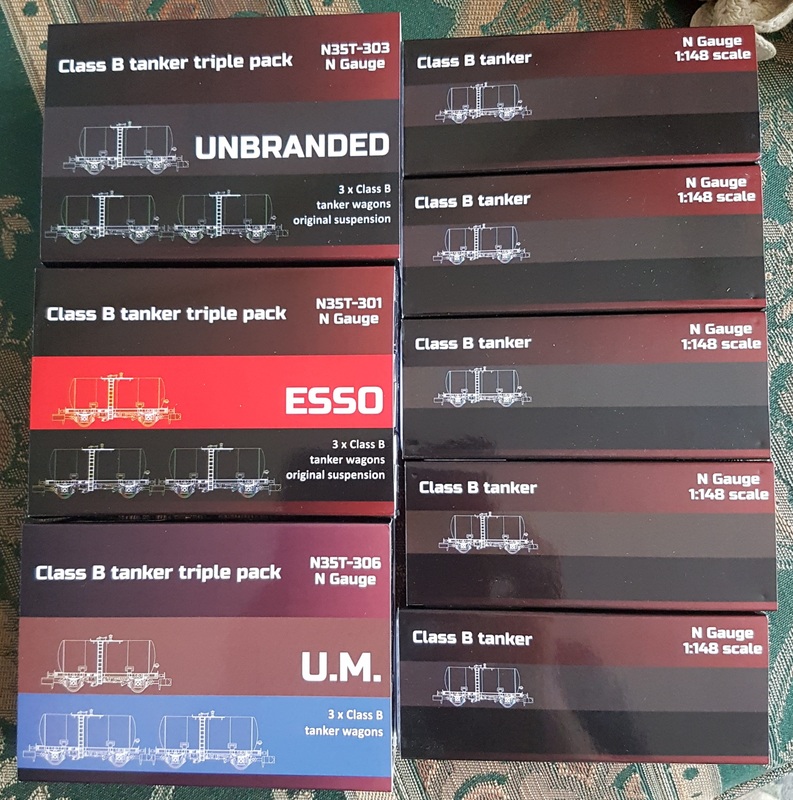 The postman delivered two parcels today – my Revolution Class B tankers. I hadn’t realised that I’d ordered 14…. But I must have, as they arrived today and they all look wonderful. 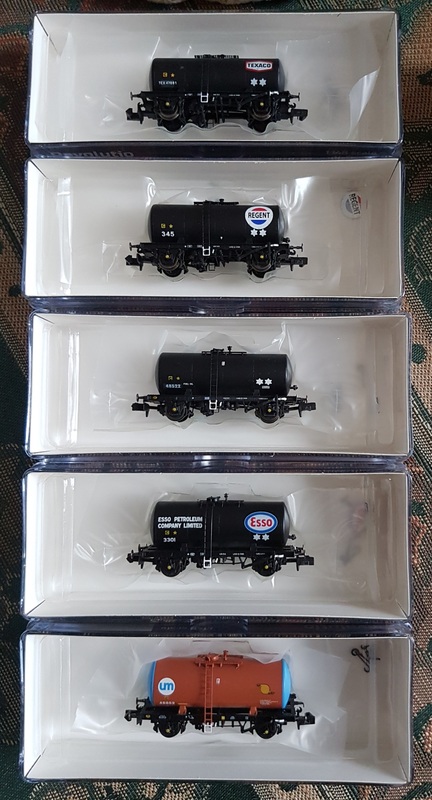 I’d started with the black liveries, so didn’t end up buying any red Mobil Charrington ones. But I’m especially pleased that I added the 4 UM examples to my order. They are rather colourful and will make a Rule 1 appearance whenever possible. Note the etched ‘Regent’ shield to fix over the transfers. ‘Esso’ wagons also have them. And the ‘United Molasses’ wagon is rather classy! This entry was posted in Inspiration, The trade and tagged inspiration, model railway, N gauge. Bookmark the permalink.